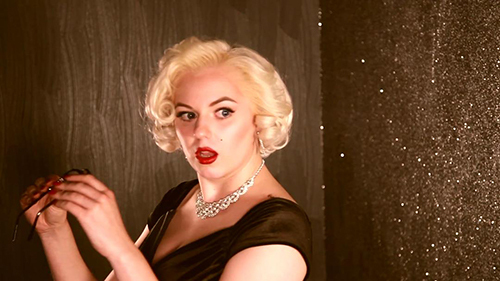 This Marilyn Monroe lookalike and tribute act is is an unbelievable impersonator of one of the 20th century’s greatest icons. 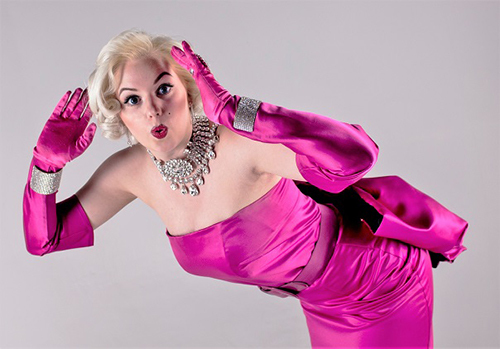 Her award for Best Marilyn Monroe Lookalike at The National Tribute Music Awards by The Agents Association of Great Britain, indicates the kind of high calibre performance you can expected from this amazing celebrity impersonator. She delivers a high impact live music performance that features all the classic songs, including the ones you didn’t think you knew. Her tribute act is available as a solo performer with backing tracks or for more intimate events, she can be accompanied by her pianist. 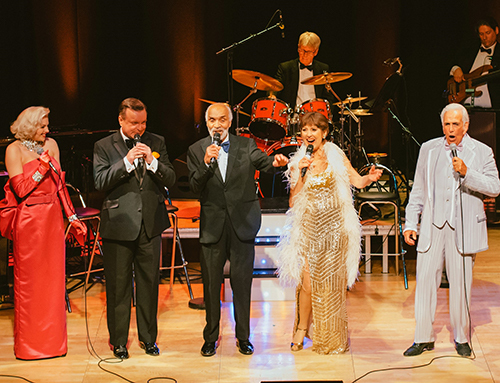 For the full Monroe experience she can be backed by her own quartet or anything up to a 16-piece big band of first class musicians. 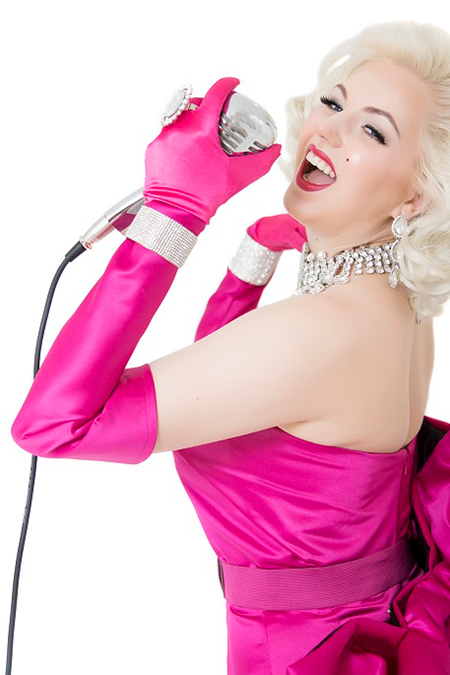 Aside from a live musical act, she can be booked as Marilyn to perform as a meet and greet artiste to mingle with your guests. Her immediately recognisable demeanour is always a huge success as guests cannot wait to get up close to chat and have photographs with Miss Monroe. 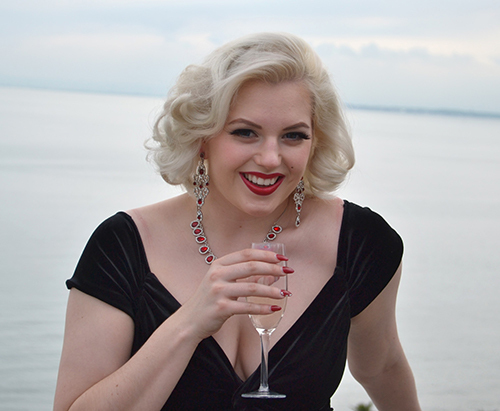 Recognised as one of the leading Marilyn Monroe lookalike and soundalike’s in the U.K, she has performed as Marilyn at major events for corporate clients around the world. She has also worked alongside many celebrities and was even asked to appear at an event for the then British Prime Minister David Cameron. 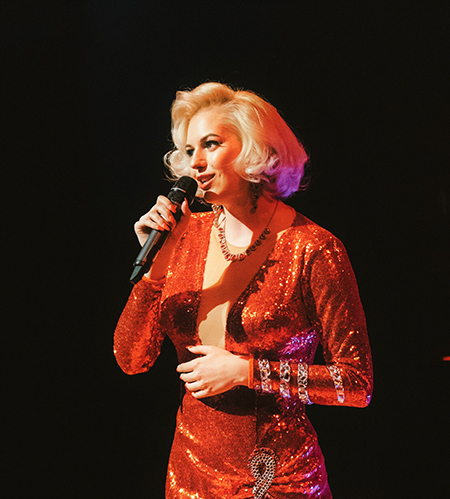 She can currently be seen in the award winning national tour ‘The Rat Pack Is Back’ singing Marilyn Monroe’s biggest hits including ‘Diamonds Are A Girls Best Friend’ and ‘I Wanna Be Loved By You’. 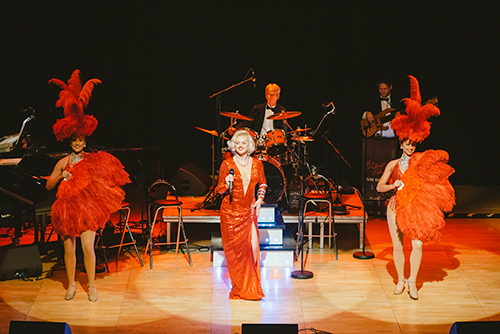 In her own show, our Marilyn Monroe lookalike is honoured to include a brand new arrangement of “My Heart Belongs To Daddy” arranged for her by the Legendary Las Vegas star Buddy Greco. Buddy who shared a friendship with Marilyn for many years wrote what was sadly his final orchestration, as a salute to his dear friend saying at the time that this act "has the innocent beauty that I looked at when I was with Marilyn all those years ago and trust me that’s hard to find." 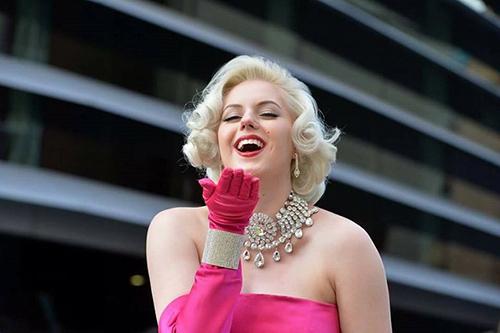 A big compliment indeed from someone who knew the iconic Miss Monroe so well! 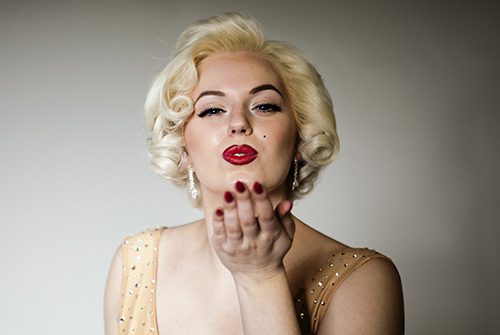 Our Marilyn Monroe lookalike takes her performance very seriously and has a wardrobe full of iconic Marilyn dresses. 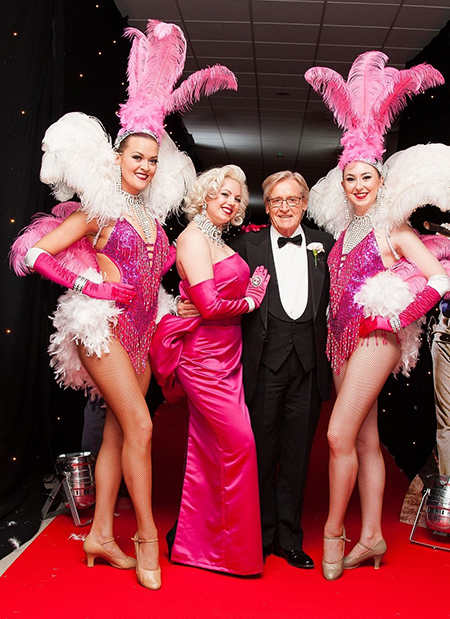 For added WOW factor, her live performance can also include the stunning Marilynette Showgirls. For special occasions, she has a giant Birthday cake pop-out prop too. 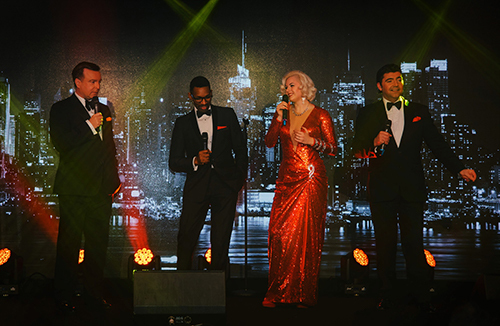 So for one night only, you can be Mr President and have Marilyn surprise your guests when she pops out of the cake to sing a very special version of Happy Birthday – just for you!